Our battery systems are based on LITHIUM-ION technology, a proven, safe and reliable technology. These are the same batteries that go into laptops, mobile phones, cars, buses and forklifts. 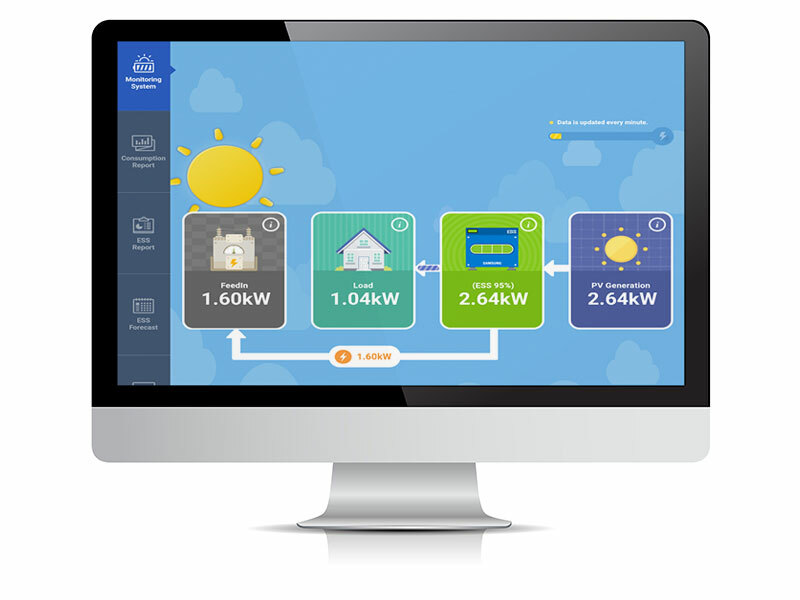 They store your excess solar power and you can use it when you need it. You can potentially live 100% off-grid. These batteries have a long useful life (> 15 years). They can be installed indoors or outdoors. They are fully automated and are maintenance free. They store solar power in DC current form. Our battery systems have an integrated inverter, meaning the battery converts DC power into AC power before supplying to your appliances and lights. These batteries require zero maintenance. You can monitor the above features on a minute by minute basis over a very long period. 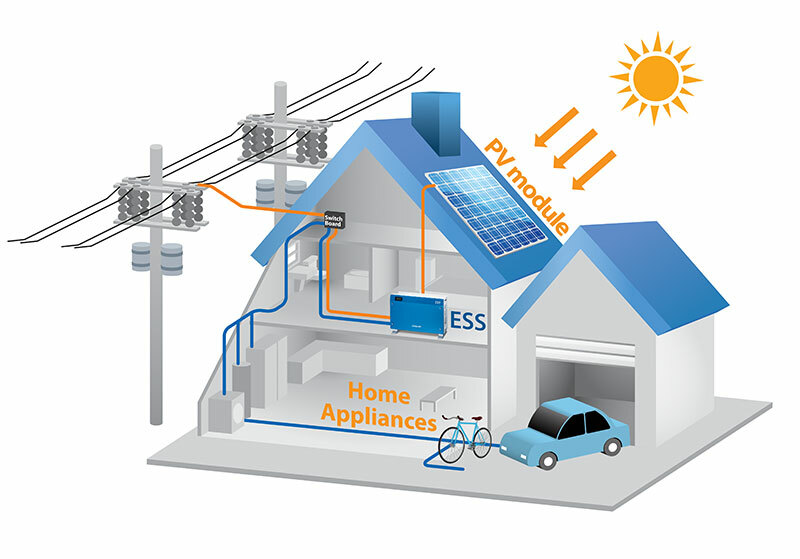 I purchased solar coupled with Samsung AIO (inverter + batteries) more than two years ago. 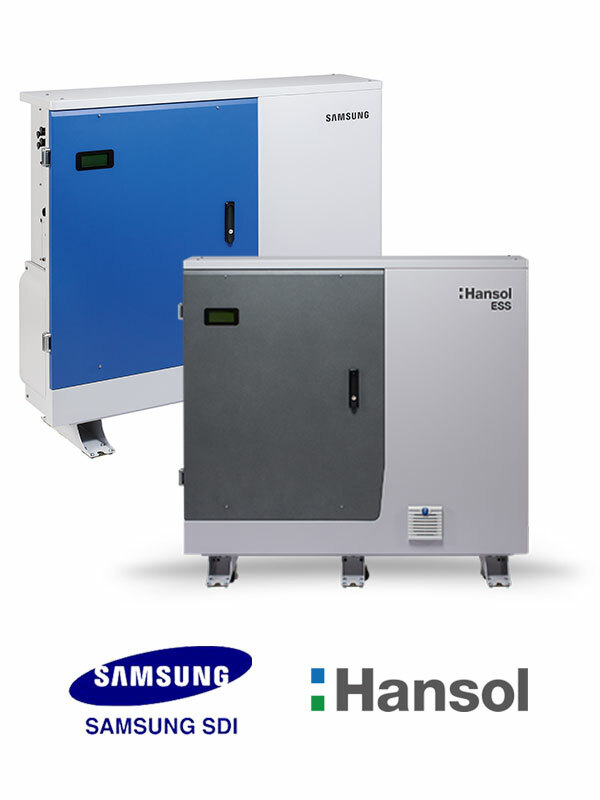 The All-In-One 10.8 kWh was Samsung’s second system to be installed in Australia. To summarized my experience would be to say that my expectations were surpassed beyond my wildest dream. I operate a small hydroponic grape tomato farm in Bowen, Qld. On an average sunny day, by midday, the battery bank is topped up. At sunset, the battery bank takes over on its own to power the house entirely. As for the financial return, for the initial 25,000$ investment, there is a 100% return within 3 years, which is better than any investment fund return. As for the maintenance and breakdowns, NONE SO EVER. I don’t get to know the repairman!!! As a bonus, our frequent evening power outages are gone. If the AIO detects a grid outage, within 10 seconds, the Samsung AIO becomes independent until it detects the grid is back on. Last year, our Samsung AIO went through cyclone Debbie. Grid was out for 8 days and I hardly used my generator. I now believe in magic!!! We are pleased at the amount of power that we receive. Yes we definitely would recommend this system to others. I have had my Samsung stand alone solar system (10.5 kw) for 2 years or more now. I was the 1st in Australia to have it installed so I was the guinea pig .In the early months Samsung worked tirelessly to provide a system that suited our needs constantly flying technicians in from Samsung in Korea. Ultimately when all the bugs were ironed out and the software stable we ended up with a system that is perfect for our needs. (A necessity in North Queensland )All day and all night .We do not have a connection to the grid at all.With a bit of daily planning we are entirely independent and rely heavily on our Samsung battery system . The warranty on this system is 10 years so that in itself gives great piece of mind. On the odd occasion we have had a couple of software glitches and they were promptly rectified by technical team with minimal interruption to our supply.this was a god send as we had a bullock in the freezer at the time . I am currently building a second house on our property and will install a second Samsung unit on it .Hopefully I can find a new supplier for the Samsung system as currently there is now no distributor in townsville anymore.Maybe you could advise a new contact for the Samsung system sales and installation for the North Queensland region.